In the only black type race on the first weekend of 2014, local trainer Kelly Doughty will look to claim the glory in the 1300-metre Goldmarket Handicap, the longest running race in the Gold Coast, as she aims to emulate her husband’s victory in the race in 1995, when Gary Doughty saddled Atlantic Crossing to victory. The field for the race looks to be a pretty balanced one, with a couple of last start winners and exciting prospects in the mix. 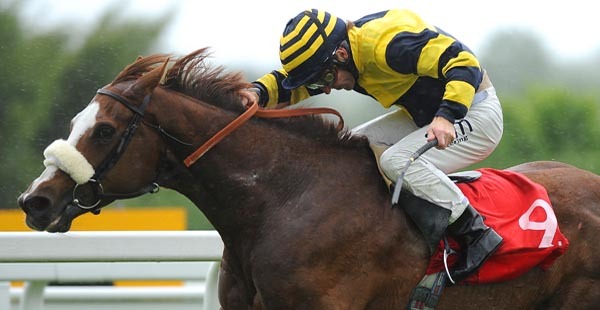 The best place to have a bet on the 2014 Goldmarket Handicap is with Bet365.com. The odds below were taken from the site, and you will be able to find the latest race odds there as well. Bet365.com is also offering each-way betting on the race, with which you will receive 1/4 if should your selection place in positions one to three. Staking her claim for the race, Doughty accepted two runners for Saturday’s race, bookies’ favourite Morning Captain and relative black type novice Little Brown Horse, who comes into the race on winning form. Morning Captain, last seen finishing in fifth behind Love Rocks in the Lough Neagh Stakes over 1350 metres, finished fifth in last year’s renewal, and will have a great crack at improving on the that performance after being drawn in gate one, although carrying the joint-top weight of 59 kg will be a challenge. The five year old, who will be ridden on the day by Jim Byrne, was well beaten on the day, but had to make up for a poor start and the quick pace of that race made it impossible for him to come into it. Doughty has also accepted Little Brown Horse for the Goldmarket. The five year old mare won two on the trot at the Gold Coast late last year, before finishing a good second behind Miss Leibert over 1350 metres at Doomben last week in a Benchmark 85. She has proven that she can win on both the wet and the dry, but it remains to be seen how she will make out at a higher level. In a fairly balanced field, there are three other runners trading at single figures, with Signified, Mishani Warrior and the Gai Waterhouse-trained King Cobia posing the biggest threats to Doughty’s hopefuls. King Cobia in particular will be in with a major shout for the $100,000 Listed race. The Sydney galloper is a last start winner over 1400 metres at Kensington in December, and is well set for the race, drawing gate two and carrying the minimum 54 kg. Waterhouse’s runner was a winner in her last start under 1400 metres at Kembla Grange, although that race was in September. As mentioned above, the best racebook to place a bet on the 2014 Goldmarket Handicap is Bet365.com, who will offer the best odds on the race. When visiting Bet365.com, click on ‘Horse Racing’ in the left sidebar and scroll down to the Antepost section of the page, where you will find the markets for this race and many more. The Listed Goldmarket Handicap is run over a distance of 1300 metres at the Gold Coast racecourse in Queensland in Australia and has purse of $100,000. The title sponsor for the race is Carlton Draught.